Again, I talked a lot about various topis with the tourists from USA! It was, of course, fun. During the tour, mostly on the bus from one place to another, I had time to talk with them. The most impressive topic was the one about jury system. Last year the citizen judge system started in Japan. They knew about it, but the system in Japan is different from that in America. Both of us thoght it almost same despite a little difference. I explained the citizen judge system in Japan to them and I heard what the system in America is like. We found them slightly different. It was very interesting to me. Let's get back to the main topic! Most of the famous places in Kyoto are so crowded with visitors. However, Daitokuji is not comparatively crowded like those. 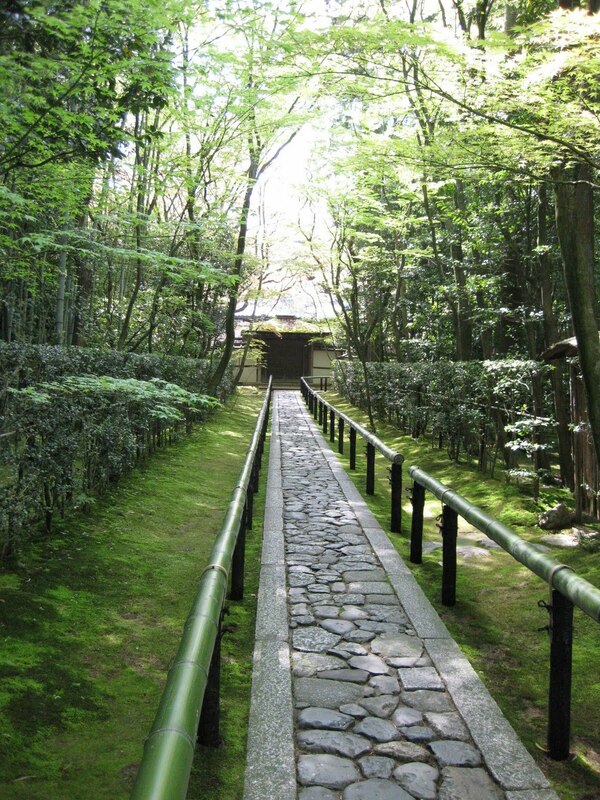 There are many small temples in the precinct of Daitokuji. 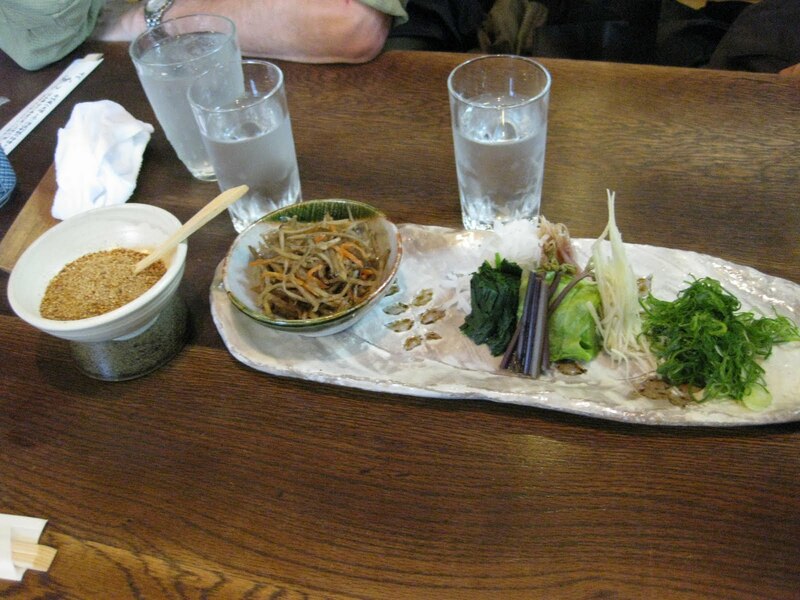 Koto-in is the most popular among them. Recently the number of visitors to Koto-in has been gradually increasing. Yet it still keeps calmness. There we met a man who was sitting and viewing the garden. He noticed me, and spoke to me. He was wondering where in Koto-in the grave of the famous Kabuki female dancer, OKUNI, was . Unfortunately, I didn't know about it. I felt sorry I couldn't answer the question. What I don't know should be asked to somebody who knows. I asked the woman at the wicket. That is true. 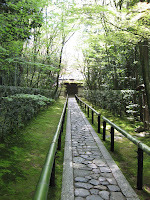 The grave of OKUNI is surely in Koto-in. But it is not opened to the public. So that's why he and we couldn't find it. After that, we had lunch at OMEN near Ginkakuji temple. 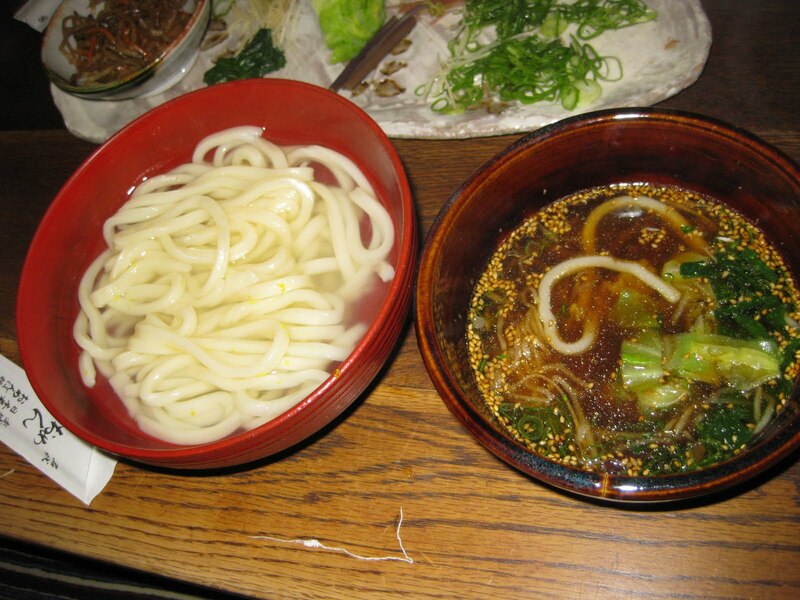 This restaurant serves a special UDON. They have a branch restaurant in New York. You can enjoy it in America, too. They loved Japanese tea, and looked for tea cups for themselves. 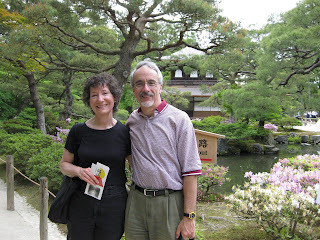 We walked a lot around Kiyomizu temple, Nineizaka and Sanneizaka and Chawan zaka! At last they found what they wanted. Nice! I got an e-mail from them saying they enjoy Janapese green tea with the tea cups they bought here.